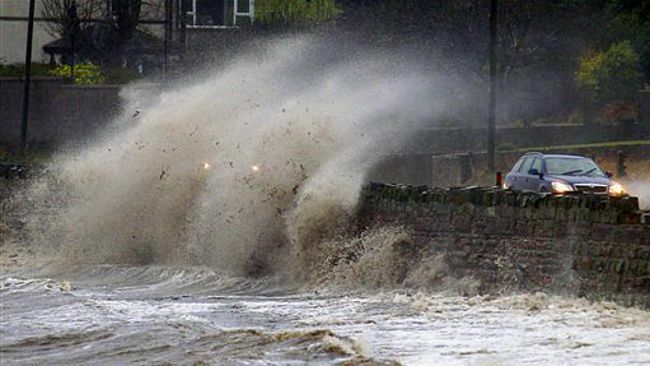 Britain is experiencing the worst back to back winter storms in more than 20 years. The country can experience more lashing rain and hurricane-force winds up to 70 miles per hour that can bring extremely high tides. The unusual powerful storms are again and again in a short space of time. ← U.S blasted by the coldest storm in decades – New York hit hard! are there chances of rain in hyderabad ? It says that largely below normal winter rains expected in the country around 30%. So my question is will risalpur receive a proper winter rain in winter 2014? PWP has also forecasted below normal rain in most of the country in it’s winter outlook. There is a probability it can get proper rain later in the season. What is going to happen in Islamabad and khaur as pmd told below normal rainfall.Will they get normal rainfall.Any large thunderstorm system seen for Islamabad and khaur or a system which will give heavy rainfall. PWP did write in it’s winter outlook that the winter rains would be below normal. During the last week of January there is a WD that is under watch which can bring some good rain. When will started good winter rain in the country especialy swabi,kpk? First week of February can bring good rain..
when will you make new article?when will rain begin in multan? Dont know. Chances of showers/rain in the first week of Feb.
Aoa. Posting after a long time here. I need some info regarding snowfall in murree this weekend. Our plan is to go tomorrow and come back on Monday. How much snow is expected? PMD is forecasting heavy snowfall, I have university on Tuesday so i have to get back on Monday, will the snowfall be heavy enough to block roads or will it be in moderate amount and i can get along with the plan with ease.? Sorry for the very late reply. The possibility of snow at times heavy would prevail in Murree till Friday/Sat. Aoa. Posting after a long time here. I need some info regarding snowfall in Margalla hill range and any system of rainfall in isb and khaur in the next week.Will there be any system of thunderstorms which will affect khaur and isb in the next week. The possibility of rain in Islamabad would persist in Islamabad and Khaur till Friday night/Sat morning. is there are chances of rain in multan on 6th february?please reply my answer before 6th february. Aoa.I need some info regarding snowfall in Margalla hill range and any system of rainfall in isb and khaur in the next week.Will there be any system of thunderstorms which will affect khaur and isb in the next week and if not then when will it affect.